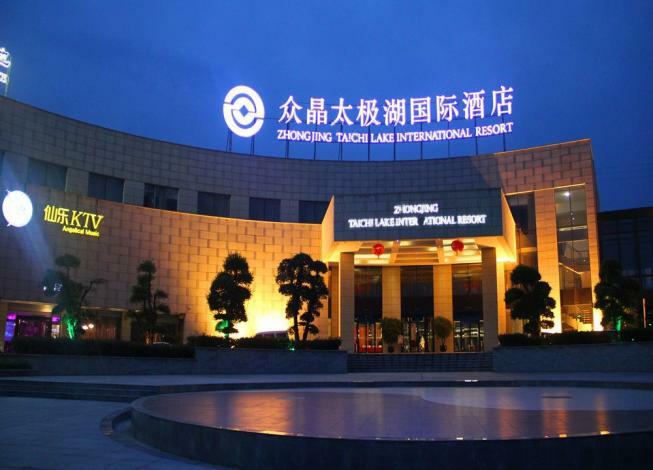 The stunning Zhongjing Taichi Lake International Resort (Zhongjing Taijihu Guoji Jiudian) is located in the beautiful Taiji Lake District and boasts lush scenery and modern facilities. With an airport pickup service, ticket reservation, free Wi-Fi throughout the hotel, free parking and disabled access, guests will enjoy a carefree stay. The on-site restaurant serves an assortment of delicacies for Chinese and Western palates, while the coffee shop offers a selection of snacks and drinks. Room service is also available. Business travelers can take advantage of the on-site international conference center and several meeting rooms. Well equipped with advanced projectors and sound equipment, these are perfect venues for weddings, banquets, meetings and all kinds of social events. In terms of recreation, guests can play billiards, ping pong or tennis, enjoy a massage in the spa, work out in the gym or take a refreshing dip in the pool. - 147.3 km to Xiangfan Airport.